In December 2017, Tim Showalter was uncertain about his next record and the shape it would eventually take. With no new songs written and lacking any clear vision, he was unprepared for the message he would receive from his friend Carl Broemel, the conversation that would follow, and the album that would become Eraserland. Leading off with standout track “Weird Ways” and his powerful declaration of“I don’t feel it anymore,” Eraserland traces Showalter’s evolution from apprehension to creative awakening, carving out a new and compelling future for Strand of Oaks. “This project seemed to just fall together naturally,” said Broemel, guitarist for My Morning Jacket. 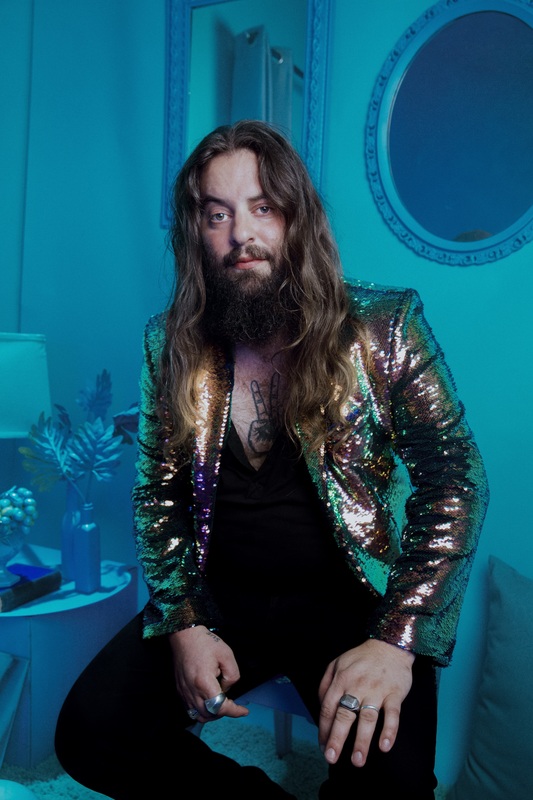 “I felt drawn to Tim’s positive energy and his albums…I threw it out there that I’d be happy to help in any way I could with the record.” Broemel quickly reignited Showalter’s interest in what would become Strand of Oaks’ sixth full-length studio release, and within 24 hours, My Morning Jacket members Patrick Hallahan (drums), Bo Koster (keys), and Tom Blankenship(bass)were also on board. Each song on Eraserland sustains an openness and sensitivity that is enthralling, bolstered by the exceptional musicians there to realize it and rekindle Showalter’s passion for music-making. The album finds Showalter successfully channeling the full spectrum of sounds within the Strand of Oaks discography, from fast, synthy tracks like “Hyperspace Blues” to epic burner “Visions, the gorgeous ballad “Keys,” and his devastating acoustic performance on “Wild and Willing.”But Eraserland also has moments of pure, upbeat exuberance, most notably on“Ruby,” a rollicking, understated anthem driven by buoyant piano and one of Showalter’s most infectious melodies to date. Isbell’s magnificent shredding is showcased on “Moon Landing,” Eraserland’s preeminent off-the-wall groove, while the album’s title track finds Showalter resurrecting his long-dormant alter ego Pope Killdragon for a striking, synth-laden duet with Rundle. But in many ways, “Forever Chords” is the definitive track on Showalter’s magnum opus, and the manifestation of everything he hoped to achieve on this record and for Strand of Oaks as a whole.“When I finished writing ‘Forever Chords,’ I felt like this is either the last song I ever need to write, or the rebirth of Strand of Oaks.” Poignant and heart-rending, “Forever Chords” gradually builds toward an emotional release rooted in our own universal fears about mortality, personal legacy, and music as a saving force. "Strand of Oaks - Radio Kids"